The world of flight: it’s a world that man aimed for and dominated. Captured in wood, aluminium and other vintage-look materials, Authentic Models’ Flight collection is truly unique and executed in meticulous detail. The Transparent Sopwith Camel is one big plane, being over a meter and a half long, and made with an interesting array of materials. Its lightweight frame is stretched with transparent fabric, while careful consideration has gone in to its details, including spoke-wire and rubber wheels, wired wings and cockpit. It’s a big plane for big spaces…and personalities. Made with transparent fabric stretched over a wooden frame. Meticulous details such as spoke-wire wheels, a detailed engine, and a laminated wooden propeller. True to the original plane, with moving parts. 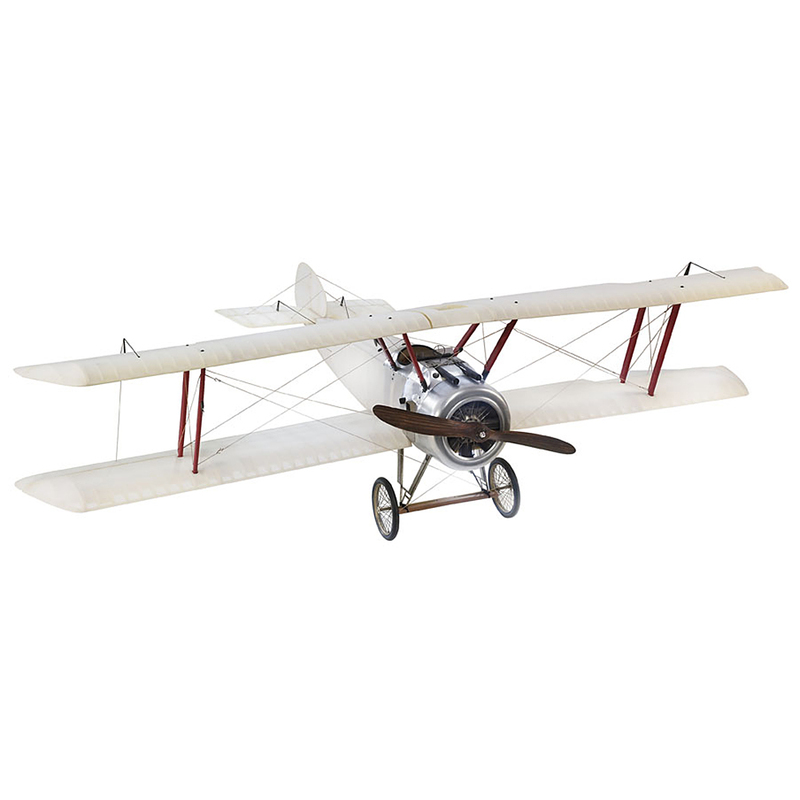 Please note that due to the fragile nature of the Transparent Sopwith model, it is available in-store only. Dimensions: 150cm (l) x 45.5cm (h) x 102cm (w).